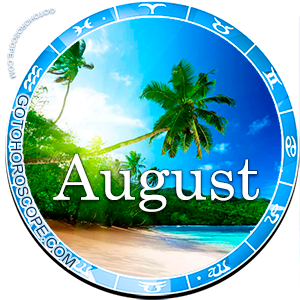 August 2013 Horoscope Aquarius, free Monthly Horoscope for August 2013 and Aquarius Astrology Forecast for the month ahead. In August 2013, Pisces can seriously count on the goodwill of the Fortune, without even looking at the numerous negative aspects of the stellar combinations in regards to this zodiac sign. And there will be quite few of those combinations! For example, Mercury, the planet exalted in Aquarius, is unlikely to give its Earthly protege even a drop of positivity. Most likely the celestial patron of trade will remain deaf and blind to the needs of the representatives of this sign given that deservedly it appears as the direct enemy of the Sun, which will be very generous to all of the zodiac signs throughout the month August. However, in an unfortunate coincidence the solar positivity will not reach the Aquarius sign. On the other hand, Mars, the one responsible for the "fall" of the Aquarius sign, will only increase the active waves of negative energy and focus all their attention on the personal life of the representatives of this sign. Fortunately, Saturn will stay true to the path that it has once chosen and will go to the end with the Aquarius sign. This means that the entire disastrous power of the Lord of time will collapse as a fierce stream both on the "celestial merchant" and on the fierce red warrior. 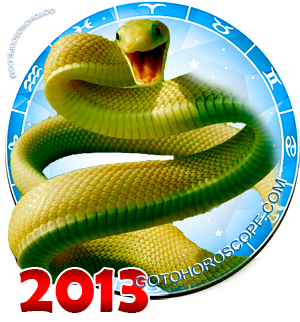 Certainly, Saturn will not be able to neutralize the entire negativity coming from Mercury during August 2013. And it is not in the power of the celestial body. Saturn is energetically much stronger and more stable than Mercury, but in the finance aspect even the Sun is not able to compete against this little planet. This even if Saturn wanted to help, the majority of Mercury's negativity will still go through. 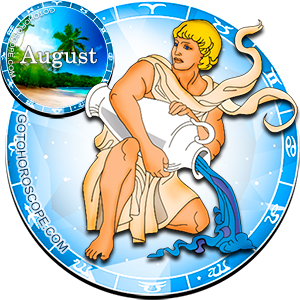 This, in turn, will necessarily lead to a variety of conflicts that will haunt Aquarius in his workplace through the entire month. Your colleagues and partners will decide that you are working way too well and that they should annoy by all means. It does not matter how - either directly or indirectly. Someone will accidentally touch your mug and break it, someone will put a paper clip in the printer, and it will cause it to break, and someone will banally will put a "button" on your chair. Yes, be prepared for those childish antics, and by those from whom you would have never expected! In the most unexpected moment, the Moon and Uranus will make sure that the circumstances will still develop in your favor and you regardless of what, will successfully complete all of your projects. Believe me, your superiors will fully appreciate your services, and then someone will come crawling on his knees asking for forgiveness for his misbehavior. Well, here the choice is entirely up to you. In regards to the love life, in the month of August, the Aquarius sign will receive a serious wave of negativity from the red planet that will surely result in massive conflicts. During this month, the scandals will not pass by your house. And it will seem that all "arguments" have a sound foundation. But be careful - the majority of them will be totally unfounded, or serve as a pretext for their biased data. Once you show your loved ones the uselessness of your arguments, the conflict will subside by itself. So now it's important for you to clearly analyze all the events taking place around you. Try to notice even the slightest changes in the environment. If you do not do it, believe me, an avalanche will collapse over you and you will not be able to resolve the problems encountered. As a result, both your friends and your family will be unhappy with you, maybe they are right. Gather into a fist all of your skills of conducting an argument. Sensitivity and care, declare two-minute availability, and remind your sense of justice to be vigilant. If you do it right, then you will be able to escape 70% of the problems.